Spring is in the air. Thursday morning it was -28 degrees on my thermometer. At this moment it's 30 above. 58 degrees in the right direction. We're less than two months away from the Homegrown Music Festival and the Northland Dylan Celebration, formerly Dylan Days in Hibbing and Dylan Fest in Duluth. So, I've got music on my mind. One of the traditional highlights of Hibbing's Dylan Days has been the Singer Songwriter Contest. Bob fans from all over the world have participated in this event. One of our competitors was Mark Sutton of Sydney, Australia, who wrote the absolutely wonderful "I'm A Bigger Dylan Fan Than You" which is practically an anthem for a lot of us here. Every line is loaded with substance, not one a throwaway. It gives you a sense of the competition when you learn that he didn't win that year. I don't mean to discourage you from throwing your leopard-skin pillbox hat into the ring, but there are some seriously good performers in this even. In past years we've been joined by Dylan performers from England, Scotland and the Continent. Past winners include Danny Fox (2X), Little Diamonds, a lady from Manchester, England... and many others. This year's Singer Songwriter Contest is going to be in Duluth for the first time ever. For nearly two decades, the Singer/Songwriter Contest has been one of the most popular events of Hibbing Dylan Days. Due to the absence of the Hibbing event this year, the Duluth Dylan Fest is honored to keep this tradition alive. The singer/songwriter contest is acoustic, with vocal and guitar mics on stage and a house sound system. There will indeed be some prize money, but more importantly is the thrill of winning the equivalent of a Super Bowl ring, which is to say your name will be cherished in our memories, recorded here at Ennyman's Territory for posterity and talked about back home. And maybe we'll see you forever enshrined on YouTube. The rules are simple. Perform a Dylan tune and an original song that you have composed yourself. The event will begin 7 p.m. Friday, May 22 at the Red Herring Lounge here in Duluth. If you would like to perform email duluthdylanfest@gmail.com or visit the Duluth Dylan Fest Facebook page. Our Northland Singer/Songwriter Contest wasn't the first of its kind. I wouldn't be surprised to learn they have contests like this in Europe. In fact, someone sent me a link to a video of a similar event in Greenwich Village back in the early 80's. Evidently they were doing "Battle of the Bobs" in New York City. The First Annual Bob Dylan Imitators Contest was held at the Speakeasy Club on MacDougal Street. Here's a recording of this initial Battle of the Bobs, June 22, 1983. Meantime, even though our days seem to pass faster than a weaver's shuttle, may you stay Forever Young. By Christa Lawler on May 21, 2015 at 12:00 am. One musician discovered Bob Dylan’s music as a teenager while living alone in a cabin in northern Minnesota. For another, Dylan provided the soundtrack in the early days of a relationship. Yet another discovered her sister’s cassette tape of Dylan’s greatest hits — and had a powerful experience when she saw him perform live nearly two years ago at Bayfront Festival Park. More than a dozen performers are scheduled to play Saturday during the Acoustic Salute to the Music of Bob Dylan. 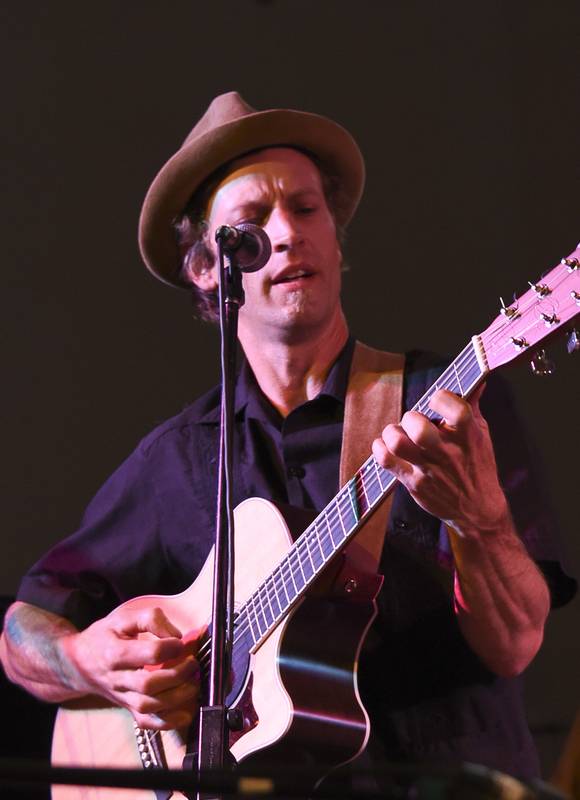 It’s one of the final events of Duluth Dylan Fest, a weeklong celebration surrounding the Duluth-born, Hibbing-raised singer-songwriter’s birthday. The concert is 7-11 p.m. at Sacred Heart Music Center and includes a genre-busting mix of artists like Scarlet Rivera, a violin player who traveled as part of Dylan’s Rolling Thunder Revue, and Gene LaFond, who came of musical age in Minneapolis while Dylan was still on the coffeehouse circuit. 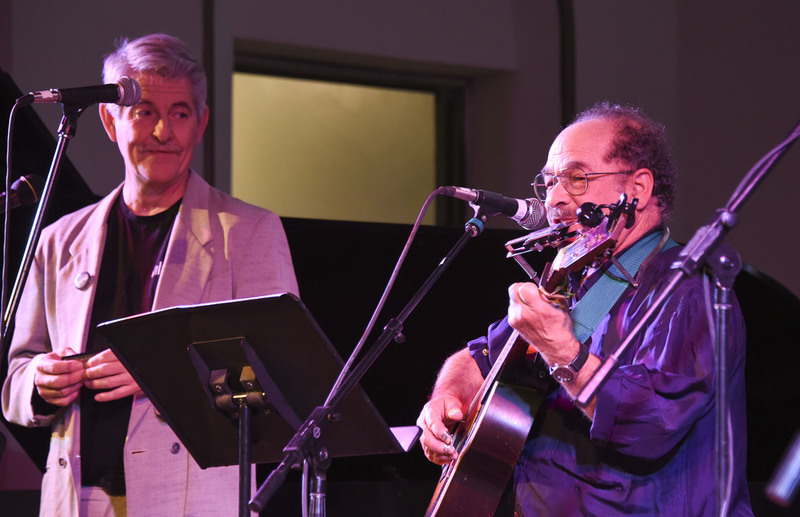 The News Tribune asked a handful of the musicians — who will perform a Dylan-inspired tune as well as something original during the concert — to share their connection to the music of Bob Dylan. “Lay Lady Lay” is the first Dylan song that Eckart recalls hearing as a kid. “My mom would say ‘I don’t really like this guy’s voice, but I like this song,’ ” said Eckart, who is known for lounge acts that include touches of Dean Martin, Elvis and Old Blue Eyes. The song stuck, Eckart said, but it took a while to develop Dylan fandom. Eckart will perform “North Country Blues,” a song that was released Jan. 13, 1964 — the day he was born. 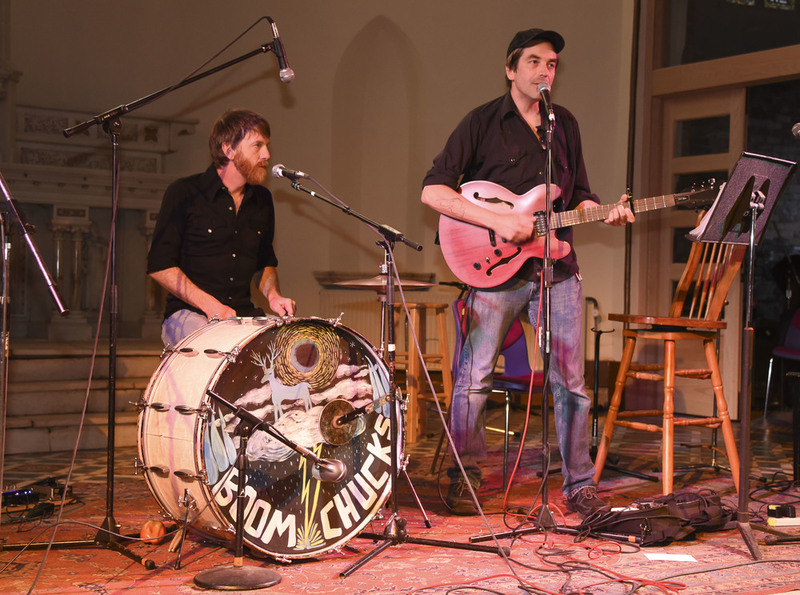 Every once in a while, local rock ’n’ roll band The Boomchucks shed its original tunes — and its name — and performs the music of Bob Dylan. They’ll do it twice this week, first as part of the Blood on the Tracks Express (train boards at 6 p.m. today at Fitger’s Brewhouse before heading up the North Shore), then as part of the Acoustic Salute. Brad Nelson became a fan about 16 years ago, he said, when the woman he was dating had almost everything on vinyl. “We did a lot of hanging out and listening to Bob Dylan in the evenings,” he said. Nelson was into the punk scene when he was younger. He gets traces of that in Dylan’s discography. “I kind of like music with an edge,” he said. “It’s almost like if folk music and punk rock were merged. Bob Dylan is age-appropriate punk rock for me. The Freewheelers will perform an original piece of music written around Dylan’s poem “Last Thoughts on Woody Guthrie,” which The Freewheelers recorded alongside other Dylan covers. Billy Hallquist is easing into his 50th year in the Twin Cities’ music scene, a life that has overlapped with Dylan — but never quite landed with a face-to-face meeting. The musician runs with a crowd that played on “Blood on the Tracks” sessions. Dylan famously recorded with a bunch of players in New York City, then later re-recorded with a bunch of players in the Twin Cities. Some of those musicians, plus others who were invited into the fold, began playing reunion shows around the time of Dylan’s 60th birthday. Hallquist has been a part of this scene for years and is involved with organizing the concerts — though, these days, they don’t always include musicians with ties to that album, so Hallquist bills it as a tribute instead. Lea was introduced to Dylan by way of her sister’s cassette of his greatest hits. Then, as she grew into folk music, his music was everywhere. Lea, a violin player who performs solo and as part of The Murder of Crows, prefers Dylan’s standards. During his 2013 concert at Bayfront Festival Park, she had a moment. Yasmineh ran away from her Chicago home in 1978 and moved into her late-grandfather’s abandoned cabin on Lake Vermilion. She was already a singer-songwriter, but didn’t know about Bob Dylan until she was introduced to his music by her classmates at what was then Tower-Soudan High School. “Planet Waves,” she said, is an album of songs that sound remote and different to what she had been listening to in Chicago. “That sort of started me on a quest to be a singer-songwriter of substance,” she said. To this day, Dylan is someone she thinks about every day. “Bob Dylan is my one and only hero,” she said. She’s seen him live plenty of times, but they’ve never met. Yasmineh said she graduated from Macalester College in St. Paul the same year as Dylan’s daughter. He was at the ceremony. “He was in the back, and he was the only person wearing a big hat and a fur coat,” she said. During Saturday’s concert, she will sing “You’re a Big Girl Now,” which she said see relates to on multiple levels — including as a parent talking to a child. Where: Sacred Heart Music Center, 201 W. Fourth St.
History is replete with landmarks -- places of birth, places where heroes have fallen, places where the dead have been laid to rest. In recent times the movers and shakers of rock and roll history have produced more such landmarks. Elvis left us Graceland. Buddy Holly put Lubbock, Texas on the map. The Beatles have brought economic blessings to Liverpool. And one of our own, here in the North Country, is as significant as any of these. Perhaps because he is still performing -- twice in Minnesota the last couple years on his Never Ending Tour – it would be a good time to reflect on what it is that has made some critics declare Bob Dylan to be the most significant person in rock history. One of the visitors to Duluth during Dylan Fest 2011 was Mr. David Leaver of Manchester, England, who co-authored with his late wife Ruth a paper titled “Before they were famous: music‐based tourism and a musician’s hometown roots”, which had been published in the Journal of Place Management and Development. Leaver’s research showed that music‐based tourism is an emotion-driven experience with ideas of pilgrimage, nostalgia and heritage that centers on sites where either great music was produced, places where famous artists were born, lived or died, or places which shaped their early history. Though the primary market segment is comprised of baby boomers, it has expanded to include younger visitors for whom these music icons have become part of pop culture. The economic realities involved are no joking matter. Graceland draws upwards of 600,000 visitors are year. Liverpool’s tourism revenue expanded by 40% once that city began promoting sites like Strawberry Fields as a destination. Even the house featured in Jean Shepherd’s A Christmas Story captures 50,000 visitors a year now because they promote it. According to Anna Tanski, director of the Duluth Visitor’s Bureau, the average Duluth tourist stays 2.3 nights and spends $645 dollars. Dylan fans have been making pilgrimages to the Northland for years without the city’s involvement. Why not capitalize on this interest by giving fans something more to see and do that might satisfy this fascination? Just 1,000 more visitors would produce $645,000 dollars. I’m not talking about an artificial shrine. I’ve been told that Dylan himself wouldn’t want a statue. As Leaver says “It is important to recognize the sensitivities of these visitors and authenticity is a key factor.” Zimmy’s, the Dylan-themed Hibbing restaurant that closed last year, was just such a place, a touchstone for fans from Europe, Asia and elsewhere. I spoke about this with Marc Percansky, a producer for annual events like the Twin Cities’ Salute to the Music of Bob Dylan and Guitars for Vets. “People in every city in every part of the world like to speak of the famous people that come from their hometowns,” said Percansky. “They take pride in knowing that they walked the same ground, breathed the same crisp air and looked up at the same open sky. They feel a connection to them in some kind of way. John Bushey, host of KUMD’s longstanding Highway 61 Revisited, added, “All musical icons are from somewhere. Dylan happens to have his roots in Duluth and Hibbing. His influence is not only in music and on other musicians, but on poets, artists, writers, politicians, and people in many other fields. “People somehow, whether right or wrong, feel a connection to famous people. They may feel like they know them, or have been guided in life somehow. People travel the world to seek out the roots of those they feel connected to, or influenced by. Whether it’s Liverpool, Graceland, Texas, or Duluth and Hibbing, people want to travel to see where the person they admire is from. Nelson French concurs. 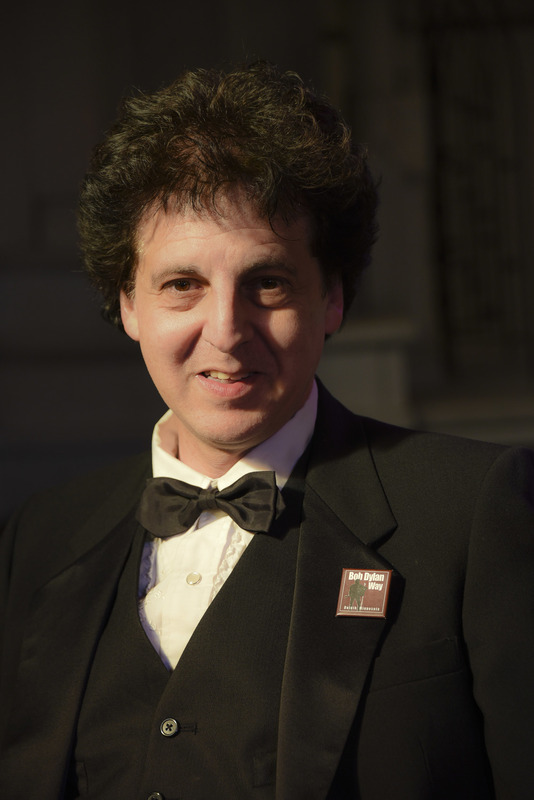 As VP of the Armory Arts and Music Center board, French is quite passionate about honoring our ties to Dylan and placing his life here into its historical context. “Mr. Dylan’s roots in the North Country are an important part of Duluth’s and the Iron Range’s history,” said French, “and tied inextricably to the history of our nation and the world. Dylan was born in Duluth in the early 1940’s as World War II was becoming a part of everyday life in America and six when his family moved to the Iron Range -- a dual and economically connected community (the North Country) that provided much of the raw material that allowed our country to prevail in the war to end all wars. The post-war era brought with it a transformation of American society. Mr. Dylan grew through the 1950’s and launched himself on the world stage shortly after seeing Buddy Holly perform at the Historic Duluth Armory. The pilgrims will continue to come whether we welcome them or not. I believe there’s more that we can do to make them feel at home when they land on our shores. It's Bob Dylan's birthday today. He's performing in Germany this weekend, so he'll miss the birthday bashes taking place in various parts of the country here. That's O.K. The music will go on. 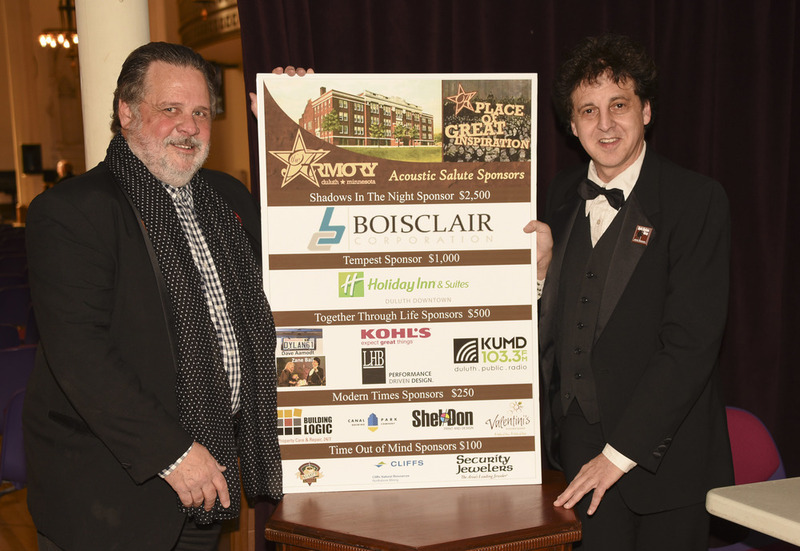 Last year's Salute to the Music of Bob Dylan here at the Sacred Heart Music Center was so exceptionally received that the Armory Arts and Music Center (AAMC) decided to do it again, only with a twist. This year it would be an Acoustic Salute. And the event was stellar. The assembled performers included many of last year's cast from the Salute, but also included a number of new names from our Northland region including The Boomchucks (Brad Nelson and Jamie Ness), Gaelynn Lee, Rob Wheeler, Sam Miltich, Todd Eckart, lliot Silberman and myself. Returning faces (or voices) included Kenny Krona, Jim Hall, Courtney Yasmineh, Barbara Meyer, Billy Hallquist, Gene LaFond and Amy Grillo, Lonnie Knight and headliner Scarlet Rivera. The show began with a couple of students from the AAMC performing music while the crowd sauntered in. A few minutes before showtime host/MC Marc Percansky introduced a special guest, Mayor Don Ness, who was one of the people who played a central role in bringing Bob Dylan Way to fruition. Mayor Ness was there to make an unexpected Official Proclamation. For her continuous support for our city and its history and the preservation of our resources and future, this day, this Perfect Duluth Day, would be henceforth remembered as Scarlet Rivera Day in Duluth. This proved to be a really nice touch to make an even great day more special. The Boomchucks then kicked in with a pair of songs performed in their inimitable style, I Threw It All Away, and a nine minute version of Last Thoughts On Woody Guthrie. The manner in which the concert was produced proved interesting. Rather than have setups after each performer, the various groups would come out in sets. This would allow a more efficient production. All the sound arrangements had been made during a mid-day rehearsal session. While The Boomchucks' equipment was being torn down John Bushey, host of KUMD's Highway 61 Revisited, performed a bit of magic... and as always, blew a few minds. The second set featured Gaelynn Lea, Kenny Krona and Rob Wheeler, Wheeler opening with Dignity. Krona played She Belongs to Me and Gaelynn Lea performed Let It Go. Many of us have been familiar with Ms. Lea's violin work, but the use of looping technologies produced some incredible sounds, especially when she performed a stunning rendition of All the Tired Horses. I think there were people picking their jaws off the floor after that. Kenny Krona also did Someone Let Me In and Rob Wheeler did Dreamer's Waltz in this set. Mayor Ness proclaiming this to be Scarlet Rivera Day. Highlights of the last set for me included Billy Hallquist's tender Tomorrow Is A Long Time, Gene LaFond and Amy Grillo's Born In Time, Lonnie Knight's All Along the Watchtower and Scarlet Rivera's Every Grain of Sand. And of course any time Scarlet performs something from Desire, such as One More Cup Of Coffee (Valley Below), there's electricity in the air. So, in short, thank you to everyone involved in this stellar fundraising event for the Armory... too many to name, including sponsors. A few quick reminders. There's a Bob Dylan Birthday Brunch at Tycoon's Alehouse this morning from 11 a.m. till 2 p.m. and Bob Dylan Birthday Cotillion featuring Scarlet Rivera, Gene LaFond and Amy Grillo tonight at the Clair Nelson Community Center in Finland. If you're inclined to stay in town, the 19th Annual Battle of the Jugbands is taking place today at Amazing Grace from 1 - 8 p.m.
Music, music everywhere. It's a beautiful thing.